Series Basics and Episode Landmarks, Season Two. The Second Season of VTTBOTS premiered on September 19, 1965, and displayed the most sweeping changes the show would ever see. Major format changes included the switch to color, plus the show was now aired on Sunday nights at 7:00, where it would remain. The number of episodes was reduced to 26. This season saw the first two-part story arc, which would become an annual tradition. The themes of the first season carried over, but with the scales tipped towards science-fiction. The color and a big budget gave the second year the most epic look of the series. Other significant changes would include two new crew members, a dynamic new vehicle, the Flying Sub, and new credits. Even a new theme tune was introduced, though quickly dropped. The Diving Bell acquired spotlights over her three main portholes and ladder rungs on her hull. Occupants wore green pullover sweaters. The Bell was more self-contained as of Season Two as only the suspension cable was used. The Mini-Sub was unchanged. Most changed was Seaview herself. (Many of these changes make sense if viewed after Season One's "Submarine Sunk Here" where the ship was salvaged and repaired.) Several of the changes were necessitated by the addition of the Flying Sub. Changes necessitated by the addtion of the Flying Sub. 1. The Observation Lounge became the Flying Sub Access Bay. 2. The Control Room now extended forward to the observation windows. This change finally gave the crew direct vision forward. 3. The observation windows were reduced from eight panes to four. These four windows actually lined up better with the interior set design, as the eight windows were never apparent from inside. The windows finally acquired shutter panels, variously called "Crash Doors" or "the Collision Screen." 4. The Control Room was widened (to the joy of the directors), and the computer was moved from rear starboard to port, adjacent to the Periscope Island. 5. Retractable crash doors were added to the previous forward Control Room bulkhead. When these were closed, the chart table was isolated forward in the Observation Nose. 6. The spiral staircase now started at the Control Room level and led upwards to Officer's Country. 7. The Observation Nose control console was deleted. The Flying Sub hatch and railing were new. 8. The antique car-sounding dive/emergency siren was replaced by a new klaxon. 9. The Diving Lock in the Missile Room was updated with a more elaborate hatch and an electronics console replacing the wheel mechanism. 10. Moving to the exterior, the Seaview was now medium blue. 11. The new viewports changed the "face" of the ship. The searchlight casing was deleted. 12. The dorsal sonar dome was deleted, and replaced by twin sonar bulges at the ship's "temples". 13. The Flying Sub bay doors were instantly obvious, and the keel spotlights were moved outboard to allow room for the doors. 14. The full-size Seaview dock set was gone, but the Conning Tower set was retained. When the dock area was shown, it was no longer in a cave-like subterranean setting, but obviously at sea-level and bathed in daylight. This might have been in keeping with the show's lighter Second Season tone, but it radically altered the protected subterranean "feel" of Seaview's docking area. It was still plainly labelled Dock A. No longer shadowed, Seaview's dock sees sunlight. Apple One about to get a nudge. Episode 1, "Jonah And The Whale": Season Premiere! Nominated for an Emmy (deservedly so). The definitive Diving Bell story and one of the best whale stories. All of the Second Year changes are introduced, with the exception of the Flying Sub and various crash doors. (The Flying Sub is suggested by the appearance of the entry hatch and railing in the Observation Nose, and the bay doors visible on the Seaview's belly. The Diving Bell is called "Apple One". First appearance of Chief Francis Ethelbert Sharkey. First appearance of Stu Riley. One of the wittiest lines of the series: (Katya) "Jonah of course was a very poor sailor,though perhaps, he would've made a good admiral." Episode 2, "Time Bomb": First appearance of the Flying Sub! Nelson refers to her as the "vehicle". (ABC publicity referred to her as the "Flying Fish".) She is also known as "FS-1", although, technically there will be more than one in the series. 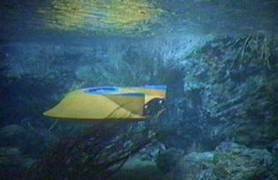 (Speaking of "landmarks", the Flying Sub of VTTBOTS has to stand out as one of the most unique and beautiful vehicles in the history of science fiction.) The Paul Sawtell theme returns. Nelson has his only romantic moment in the series. First time Sharkey is called "Francis"! Episode 3, "...And Five Of Us Are Left": First use of the Observation Windows collision screen. First loss of a Flying Sub. Crane's only romantic moment in the series. Episode 5, "Escape From Venice": The famous episode where Crane must memorize a tune. ("La-la-la...") Music by Nelson Riddle. First use of the Control Room retractable crash doors. Episode 6, "The Left-Handed Man": Harriman Nelson owns a 1965 Imperial Crown Convertible. The only glimpse of his home also. Episode 7, "The Deadliest Game": The only episode in the entire series where the Seaview, Flying Sub, Diving Bell, and Mini-Sub are all utilized! The Diving Bell is again called "Apple One" and is lowered into an undersea bunker. Chip operates the Mini-Sub (alas off-camera). First view of what will become the Seaview's reactor. Episode 9, "The Peacemaker": New and exciting opening credits are introduced. These are the familiar sonar scope overlying a diving, refitted Seaview. 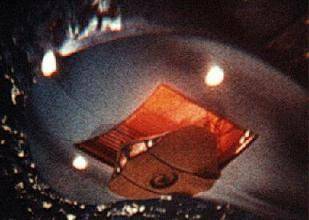 After Basehart and Hedison, the Flying Sub leaves the words "Created and Produced by Irwin Allen" in her wake. This opening was used longer than any other, continuing through Episode 8 of the Fourth Year, for a total of 53 episodes. Brilliant miniatures in The Silent Saboteurs. Episode 10, "The Silent Saboteurs": The most extensive Flying Sub episode of the series. The only time the Flying Sub's blackout shutters are used. The crew of FS-1 wear combat fatigues. This one episode reverts to the original Second Year opening credits. Episode 11, "The X Factor": The new opening credits return. First toy factory to have a greenhouse! Episode 12, "The Machines Strike Back": Admiral Halder has an (off-camera) undersea "transport". Episode 13, "The Monster From Outer Space": The Flying Sub lands on an aircraft carrier. The first of four appearances of Wayne Heffley as the Seaview's doctor. Episode 14,"Terror On Dinosaur Island": The only time the Seaview is beached! This sequence is beautifully staged by L.B. Abbott’s effects department. Episode 15,"Killers Of The Deep": The VTTBOTS "war movie"! Episode 16, "Deadly Creature Below": One of the longest teasers--over seven minutes. This was the episode used by View-Master for its VTTBOTS set. View-master titled this set "Escape." First use of the Seaview's pulldown laser control. First time the Flying Sub is recovered by the Seaview. Episode 18,"The Sky's On Fire": A remake of the film that started it all! Nelson's laptop computer is decades ahead of its time. Last new footage of Sharkey this season. The "Transformer Room" is a preview of what will become the infamous Circuitry Room in later years. 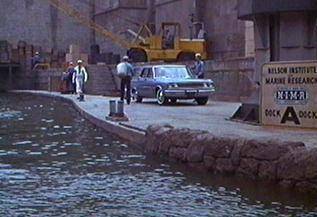 Episode 19, "Graveyard Of Fear": A seaplane lands at the Nelson Institute. The Sky's On Fire! Familiar footage. Episode 20,"The Shape Of Doom": The only "undersea" close-ups of the Mini-Sub's occupant. Due to stock footage, Ron is a quick-change artist in this episode! Episode 22,"The Deathship": The VTTBOTS version of Agatha Christie's "Ten Little Indians". 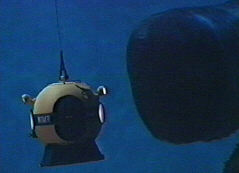 Sadly, the final appearance of the Mini-Sub in the series. A tortured Crane in "Return of the Phantom." 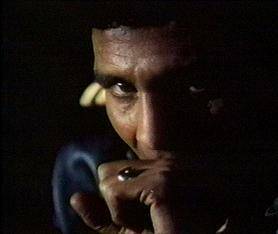 Episode 23,"The Monster's Web": The original title of this episode was "Web Of Destruction". A unique view of the Seaview through the Flying Sub's viewports. Episodes 24 and 25, "The Menfish/The Mechanical Man": Admiral Nelson does not appear in these episodes as Richard Basehart was ill.